Sole/Ride/Drop: A classic component of most Skechers Performance shoes has been the M-Strike midfoot bump. Initial versions of the GoRun, GoRun Ride and others had very significant protrusions in the midfoot area that did could provide prioprioceptive feedback to help guide the foot to a midfoot strike but could also be rather irritating. Subsequent versions have toned down the protrusion to the current GoRun 4 2016, which has only a very mild sensation in the midfoot which comes more from the solid outsole in the midfoot than a specific bump or extremely rockered sole. Which brings me to my next point. The sole is much flatter than previous versions. Gone is the extreme rocker bottom and now the GoRun 4 2016 has reduced toespring (something I always like) but a curved heel much like the calcaneus bone of the human body (see PT thoughts for more). The ride is extremely smooth if you heel strike and equally smooth with a forefoot strike or in terminal stance/toe off due to the awesome flexibility in the forefoot. In fact, the "midfoot bump" or solid midfoot section of the sole actually provides a very stable middle point of the shoe (a point where the foot does not flex normally in the sagittal plane). So if you need mild stability in a shoe but don't like intrusive medial posting, try this shoe. As I have stated before, a shoe does not have to use posting or medial support to create a stable ride. The drop is listed at 4mm without the insole and 8mm with the insole. I have only run with the insole in and have to say that the drop seems to be somewhere between those two numbers. For me it feels like a goldilocks level. Not too low that my calves get shredded every day but not too high that I notice it interfering with my stride. I also might not notice the 8mm drop due to how well the heel compresses during loading. As I stated earlier, the ride is extremely smooth and is probably one of the best I have experienced in quite some time. Outsole durability initially seemed to be a concern in the shoe. The midfoot section has held up very well over 130 miles, but the exposed 5Gen midsole material on the lateral heel and central forefoot is being chewed up quickly. 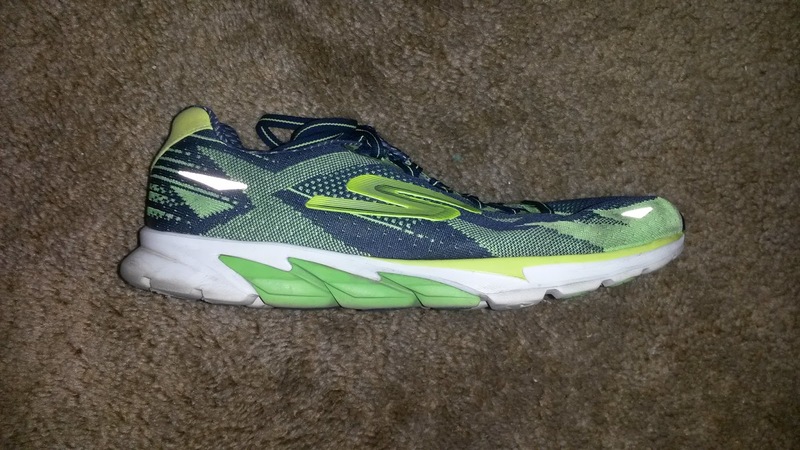 However, unlike other shoes (especially Skechers), I have not noticed a change in the ride other than it becoming more comfortable. I do not feel like the wear pattern is forcing my feet in any certain direction which again may be due to the durable and stable midfoot. I fully expect to get at least 200 miles out of this shoe, which is great for Skechers. I would like to see 300-400 miles for a $110 training shoe, but this is a improvement over previous shoes that I would only get 140-150 miles out of. I hope they continue to address the durability concerns, but this is a huge improvement. Fit/Feel/Upper: The upper is a dream. The Skechers GoRun 4 2016 uses a full knit upper (GoKnit) that completely disappears once you start running. It has just enough structure to hold the foot very well without being constricting, hot or intrusive. The knit upper feels great against the skin, however I have used socks for the majority of runs in this shoe due to sizing being 1/8 to 1/4 size larger. I generally wear men's size 10 and that's what I went for in this shoe. The slightly larger fit is something I only notice during standing and is likely due to the flexible upper and fantastic forefoot fit. Once I start running I do not notice this at all. I would stick with your normal size for this shoe unless your normal size fits you on the larger end. There is no heel counter in this shoe for those of you who are sensitive to firm rearfoot areas. Despite the stability concern due to the lack of this structure, the upper continues to hold the foot very well and seems to mold somewhat to my specific foot shape. As mentioned with the sole, I have not had any stability concerns with this shoe. 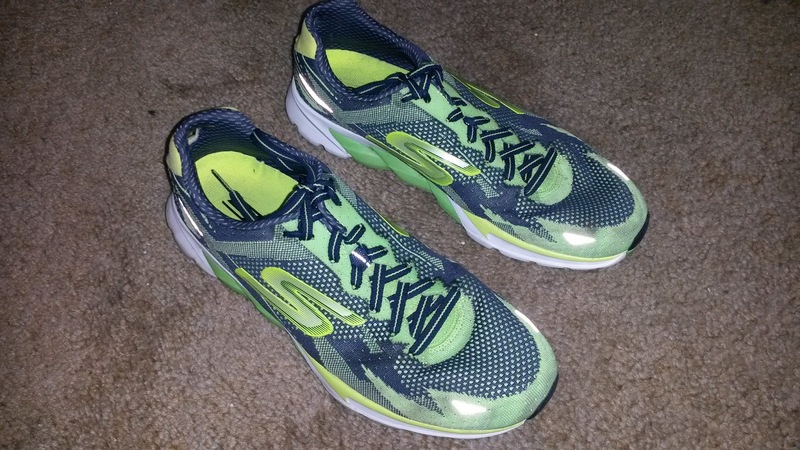 I am so impressed that such a fast and secure shoe can have such a great fit throughout, especially in the forefoot. 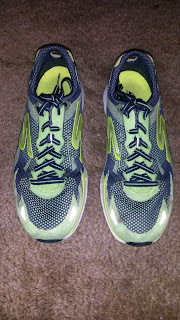 The toebox is more anatomically shaped (as per most Skechers Performance shoes) but not Altra style. Combined with the GoKnit upper and tightening down the laces a bit, it holds the foot very well. 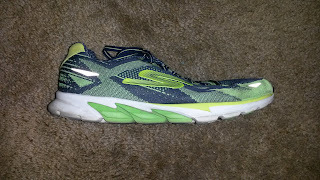 This upper has me excited to try more upcoming Skechers shoes, especially the GoMeb Speed 3 2016, which also has transition to the knit upper. While the sole had some durability concerns, the upper, despite getting dirty from use, is not showing any signs of wear. There are no seams loose and no tears after rigorous training. Extremely impressed with the upper update. 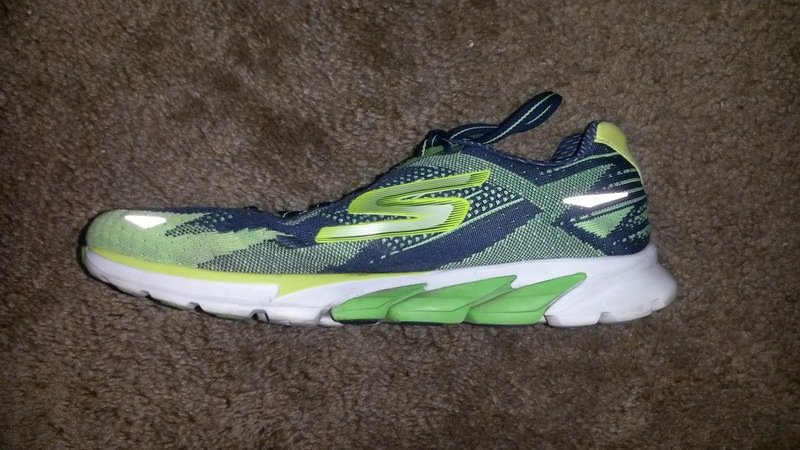 Weight/Responsiveness: The Skechers GoRun 4 2016 is listed at 7.8 ounces with the insole and it feels as such. 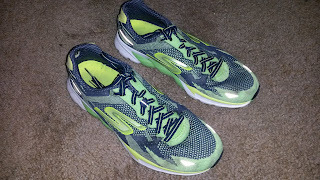 This is a shoe that you can use as a lightweight trainer, workout/long run shoe or even a marathon/half marathon racer. The 5Gen midsole is responsive and slightly firm enough to do double duty for both easy and hard days. 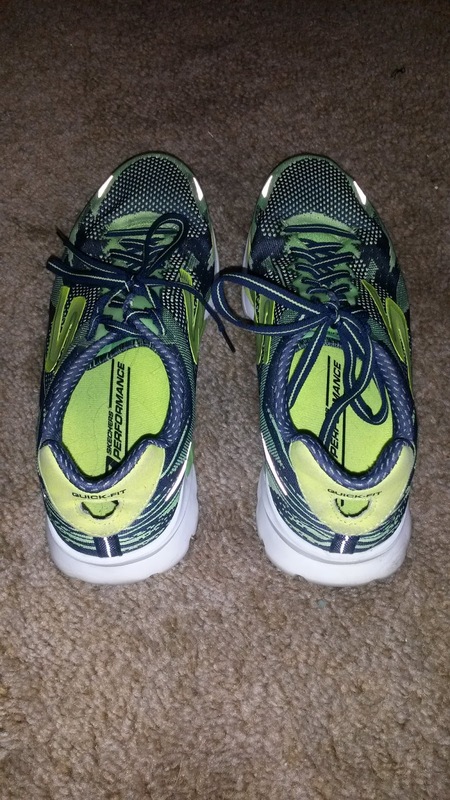 I have used the Skechers GoRun 4 2016 for track workouts, fast long runs, easy run, recovery slogs and tempo runs. This is a shoe that can do it all. 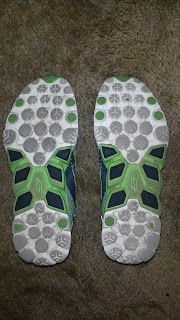 The outsole numbs grip well and over the the 130 miles I have run in the shoe the sole continues to soften up a bit and respond better to speed. Thoughts as a DPT (Student): Skechers has done all the right general things in regards to mechanics. The toebox and fit is more anatomical and not excessively pointed in the forefoot. The drop is one the lower side but not too low. Flexibility occurs in all the right places with most occuring in the forefoot with a stable midfoot and softer heel/forefoot for landings. One of the things I am most happy about is the reduced toe-spring and increased flexibility. This is the opposite direction most companies are moving, which is decreasing forefoot flexibility and compensating with increased toe-spring (Nike, New Balance minus the the 1400v3, Brooks, Adidas, Pearl Izumi, Saucony, Mizuno, Under Armour, Hoka especially and even just a bit with Asics). That is what happens when you increase midsole thickness. The shoe becomes less flexible and does not move the way the foot naturally does. The foot should flex in the sagittal plane at the forefoot and ankle. The midfoot should stay stable, so companies like Asics, Newton and others that flex in the midfoot need to rethink their flex points. Putting responsive plates in the midfoot is ok as that mimics the plantar fascia. That is why I am liking the firmer midsole material across the midfoot in the Skechers GoRun 4 2016. Without using posting, Skechers has created a stable area by making the whole thing firmer. As I have mentioned previously, a firmer surface is a more stable surface. 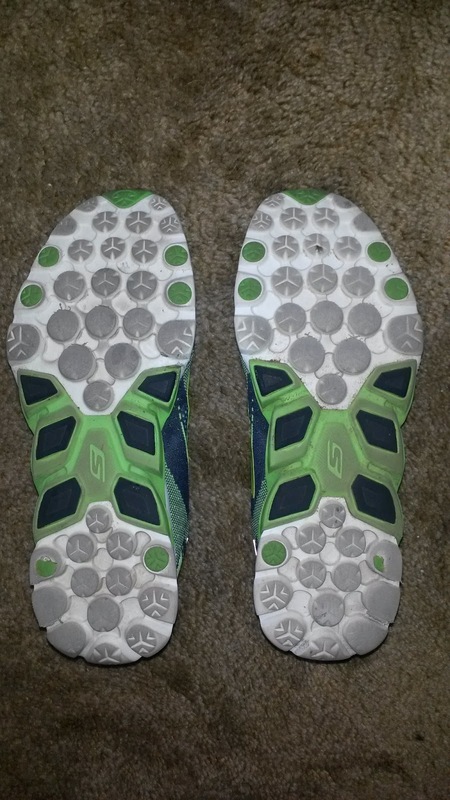 So kudos to Skechers for putting the firmer part of the shoe in the midfoot, especially without making it intrusive (like the original GoRun). That combined with the forefoot softness gives a greater contrast and ensures the foot flexes farther forward in the sagittal plane, rather than in the midfoot and collapsing laterally. Posting works similarly but biases one side of the midfoot by making one side firmer than the other. Skechers has done that but in a more natural way. Again, I am impressed with their work. It is a subtle but effective concept. 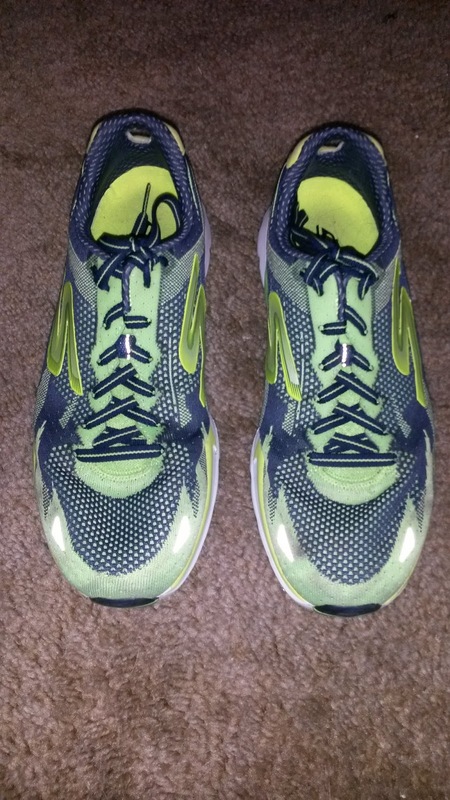 Conclusion: I am extremely impressed with the Skechers GoRun 4 2016. The updates are not minor with an awesome new upper and a more responsive midsole. This shoe reminds me of the Saucony Kinvara, but is better due to the knit upper, midsole feel consistency (the Kinvara tends to breakdown after 150 miles. The new EverRun insert in version 7 should change that) and the extremely smooth sole ride (again probably one of the best and most natural I have experienced). If you enjoy the ride of the Saucony Kinvara or lightweight trainers in general, are looking for a do-it-all shoe or even a marathon racer, take a look at the new updated Skechers GoRun 4 2016. Extremely impressed with Skechers Performance and am excited for their future! 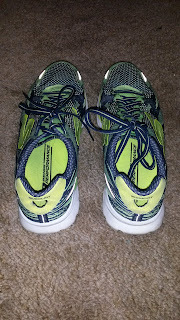 These shoes were a provided free of charge from my PAC teammate after he won the Santa Monica Classic 5k and was provided a Skechers Performance Shoe of his choice (I give him many of the pairs of shoes that don't work well with my feet). I put at least 75 miles on every pair of shoes before I review them (except racing flats which I put on at least 25 miles). Currently I have 128 miles on my pair.